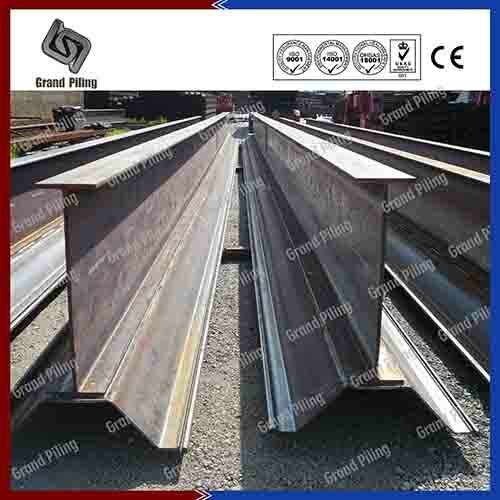 Channel steel and steel beams are the widely used options for sheet pile wale and sheet piling strutting. Extra sheet piling accessories are also produced from channel steel or steel columns, like the spacer between walers, the supporting console etc. 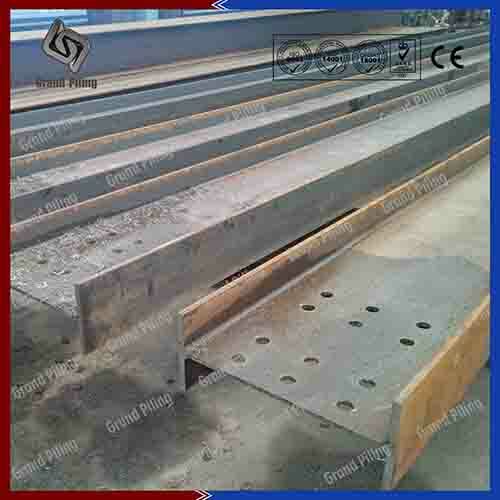 H beams can also be used as HP bearing piles, King piles, HP foundation piles and other sheet pile accessories.We can do all fabrication works in our sheet piling factory, like drill holes, painting, welded back to back doubles, fabrications of support console, spacers, with bolts and nuts, all sheet pile products and sheet pile accessory. 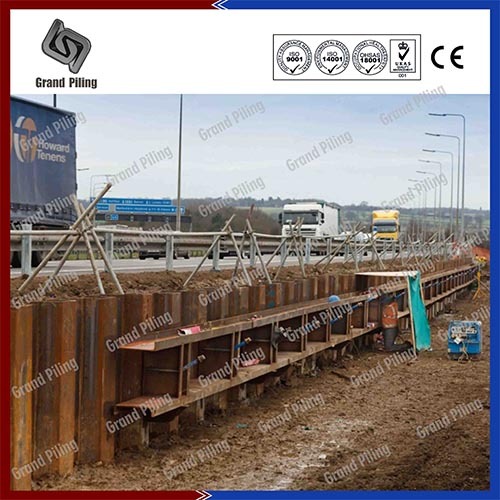 Waling or walers transmit forces from sheet piling to anchorage,which are made of two spacer connected channel sections or I beams.A pair of I-beams or possibly a capping beam and I-beam combination can be fixed centrally by waling bolts to the wall. 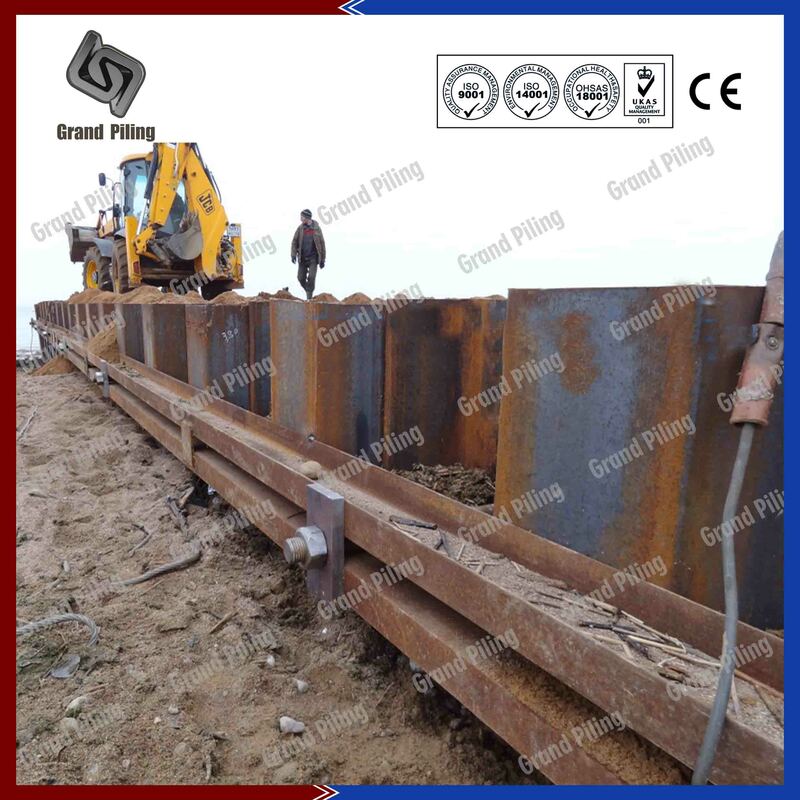 The whole sheet pile waling system consists of walings,waling joints,supporting bracket,supporting console,wailing bolt,bolt and nuts etc.Waling bolts provide the friction-type connection between the sheet piling and the load-bearing waling.There are two different types:Bolt with upset hexagon head and bolts threaded at both ends. 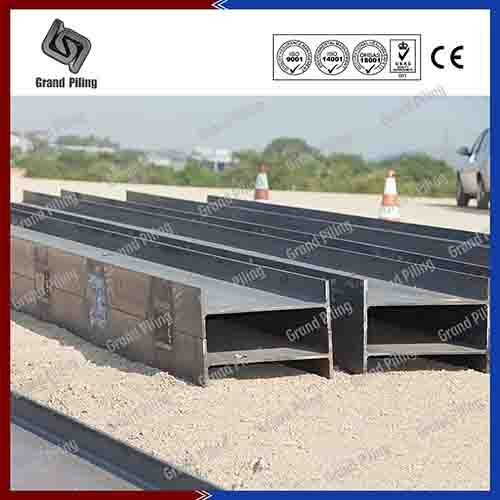 Channel steel and steel beams are the widely used options for sheet pile wale and sheet piling strutting. Extra sheet piling accessories are also produced from channel steel or steel columns, like the spacer between walers, the supporting console etc. H beams can also be used as HP bearing piles, King piles, HP foundation piles and other sheet pile accessories. Ø We carry regular stock of 40,000 tons for hot rolled U steel channel and H beams. 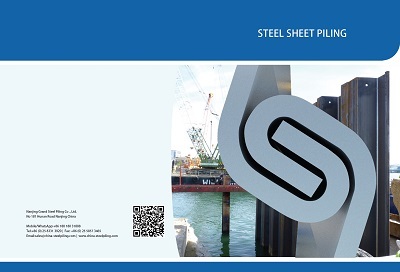 Shipment immediately .Length are normally 6m 9m and 12m.Steel grade in S235 and S355.For sheet piling contractors, the speed of sheet piling installation, sheet pile excavation, sheet piling driving is the key factor. 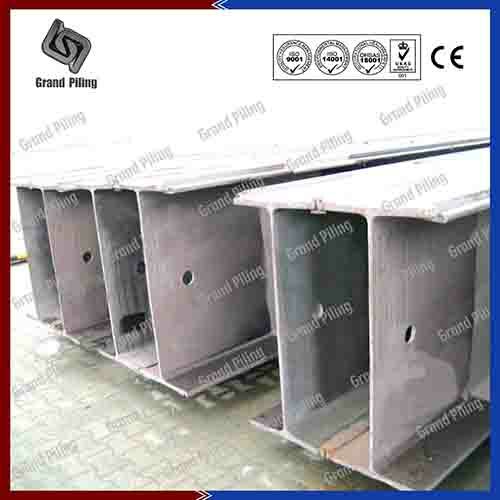 Ø We can do all fabrication works in our sheet piling factory, like drill holes, painting, welded back to back doubles, fabrications of support console, spacers, with bolts and nuts, all sheet pile products and sheet pile accessory. So that clients only need to assembly easily at construction site. 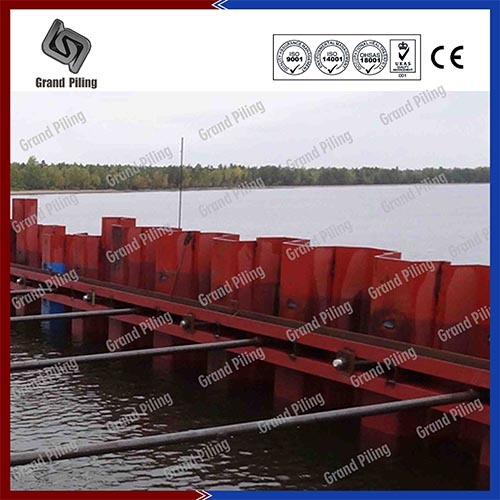 We have exported sheet pile walings or sheet pile walers all over the world. Give us a call, and we will do all thing for you. For other U channel steel, steel channel or C channel steel, please contact us. H beam steel or I beam steel or H piles have been used wildly all over the world. Depending on different shapes and sizes, H beam steel have many variations in different countries: Universal Beams(UB), Universal Columns (UC), Universal Bearing Piles, American Wide Flange Beams (W Section), European Flange Beams (HE Section), European I Beams (IPE Section), European I Beams (IPN Section), Japanese Wide Flange Beams etc.